An interview is an essential part of obtaining virtually any non immigrant visa for entry to the United States. But K-1 fiancé visa interview questions dive deeper into your history and intentions. They can even seem a little personal. And that’s a little scary. It’s natural to be anxious about your K-1 interview. If you are prepared and know your fiancé well, you’ll find that the fiancé visa interview questions are actually very simple to answer. The K-1 questions will focus on your relationship with the U.S. citizen fiancé, but there’s no reason to fear the interview if you have a genuine relationship. Visa fraud, particularly marriage fraud, has historically been a problem for U.S. immigration officials. Marriage fraud happens when at least one of the parties of a marriage entered into the marriage for the purpose of circumventing immigration laws to falsely acquire immigration benefits (like a green card). Marrying for the primary purpose of obtaining a green card is a clear case of fraud. 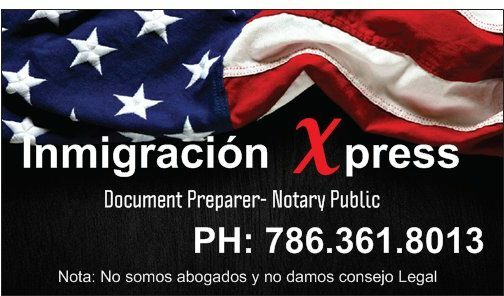 Therefore, U.S. immigration officials focus their questions on your relationship. They need to be convinced that your relationship is genuine and that the couple is getting married because they are in love and plan to live a life together. The K-1 visa is in place so that the foreign fiancé can enter the United States for the purpose of marrying the U.S. petitioner within a 90-day period. With this in mind, be careful of this fiancé visa interview question. The K-1 beneficiary must attend the interview along with any K-2 children included on the same I-129F petition. The U.S. citizen sponsor is not required to attend the interview and generally may not attend. However, some U.S. embassies or consulates may allow the U.S. sponsor to attend. Check with the U.S. embassy near you for specific rules about fiancé visa interviews.  What is your full name?  When is your birthday?  How old are you?  What is your nationality?  What languages do you speak?  Were you previously married? If so, when?  Do you currently work?  Have you been to the United States before? If so, when, why, and how?  Do you have family living in the United States? If so, where?  Have you had a K-1 fiancé visa before? If so, when?  Have you ever been arrested? If so, for what?  When do you plan on entering the USA?  Do you know what you need to do after being approved a K-1 fiancé visa?  Why do you want to come to the United States? Remember, the purpose of the K-1 visa is to visit the United States to get married to the U.S. petitioner. A consular officer may deny the visa if he/she feels the applicant’s primary intent is for another reason such as obtaining a green card, supporting family back home, or moving to the U.S.
 When and where did you and your fiancé meet?  How long have you known your fiancé?  How many times have you and your fiancé met in person?  Where did you and your fiancé meet in person?  What activities do you enjoy doing together?  Have you ever met your fiancé’s parents? Why or why not?  Will any step children live with you?  Has your fiancé ever visited you in your country?  Have you visited your fiancé in the U.S.? 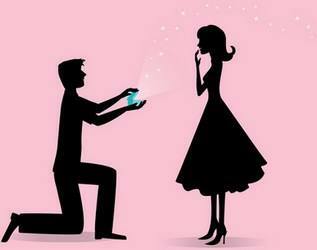  When did your fiancé propose to you?  How did your fiancé propose to you?  Did you have an engagement party? Who was there?  Have you already planned your wedding?  Can you provide any evidence that you’ve planned the wedding?  Will your family be attending your wedding?  Where will you and your fiancé live after you are married?